This could be a huge year for Telford’s Weatherbird. In their short existence they have already achieved many accolades such as winning The Guardian’s first Breaking Band feature, hitting the #1 spot on Amazon’s Hot New Releases Chart, as well as making the love lists of many other websites around the internet. This crazy amount of hype seems to be justified however with the release of the band’s upcoming single Where Eye Wanna Be. Heavy guitar riffs pound into your head throughout without taking a break, while the driving force behind the vocals really help create a strong impact that makes you believe this is freakin’ awesome. There’s a slight hint of melody embedded amongst the distortion, but it’s the straight up ballsy power chords that really get this song going. 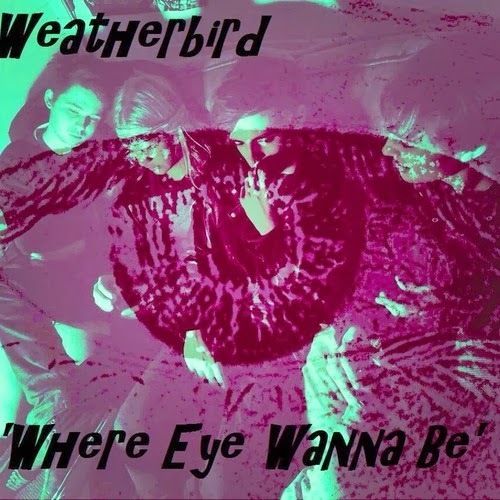 It goes hard, and it really succeeds at making you believe that Weatherbird need to be worshipped for bringing alternative rock/grunge back to the mainstream. Where Eye Wanna Be is just straight up awesome, and could easily fit Weatherbird alongside Foo Fighters for delivering some heavy jams. We cannot wait to see where the band will go from here, and if they’ll finally drop an album soon. Where Eye Wanna Be will be released 17thMarch via End Of The Trail Records. For more music reviews, free downloads and if you like having power chords in your mouth let us know by checking out Exploding Head Syndrome on Facebook and Twitter.